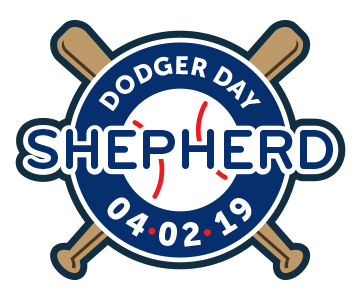 Shepherd Church is taking over Dodger Stadium and we want you to join us! This event is open to the public and is a great way for you to reach out and invite a friend. We're offering a VIP Raffle for a chance to get on the field before the game and watch batting practice from behind home plate. This is a great opportunity to get an up close look at the players and secure autographs before the gates open to the general public. All VIP Raffle Tickets go to support the Shepherd Sport scholarship fund. Ticket Section: Preferred Reserved MVP (third base side) All tickets purchased now will sit in the Preferred Reserve Value Section. This is one section up from Preferred Reserved MVP seats, but in the same area as all our other Shepherd seats. You will have an opportunity to watch batting practice from behind Home Plate on the field before the gates open to the general public. This is a great opportunity to be up close to the players and a chance to receive autographs. We are offering each guest that purchases a game ticket, 3 options to enter the VIP Raffle. You can choose none or all 3 upon your online check out. A game day ticket is required to get on the field. Re -Watch our live drawing as we call our 20 winners on our Facebook page. All winners have been emailed with details for the VIP experience.